Having barely settled in to her husband’s ancestral home in Derbyshire, Elizabeth Bennet Darcy announces to bridegroom Fitzwilliam that they must return to London society to oversee the social life of her younger sister Kitty. Neither Darcy is thrilled to be a part of the social season, but Kitty is, especially when she meets Harry Dashwood at a fashionable soirée. Harry, although he first seems one of many aimless and frivolous members of the ton, tries to improve himself under the influence of Mr. Darcy and Kitty, for whom he apparently has a genuine regard. Those favorable second impressions, however, look mistaken when Harry’s character degenerates after he visits his family home, bringing with him several artifacts from a notorious relation, the late unlamented Sir Francis Dashwood. 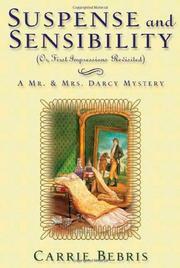 Mr. Darcy is disgusted and Kitty heartbroken at Harry’s plunge into dissipation. When the Darcys investigate, they find that several of Sir Francis Dashwood’s cronies, former members of the scandalous Hell-Fire Club, have been performing sinister rituals at Harry’s home. Mrs. Darcy consults Professor Randolph, her occult expert, about an ancient mirror, and both the Darcys take a terrible risk to destroy the mirror and save Harry. No evil is a match for the witty and happily married Darcys, a moral to which the marriage-obsessed Mrs. Bennet would wholeheartedly subscribe.